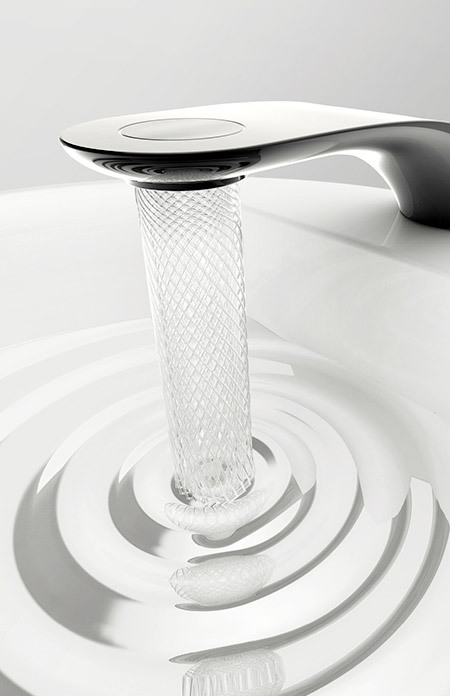 Innovative faucet designed by Simin Qiu converts normal flow of water into a beautiful swirling pattern. 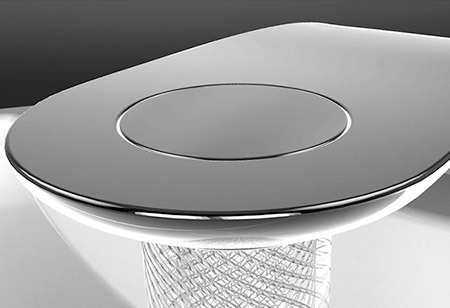 Swirling faucet reduces water consumption and looks great in the bathroom. I though water would travel in a diagonally straight line then straight down when gravity would take over. But this made water travel in a continuous swirling knitted pattern, probably because of natural gravitational and cohesion force of water molecules to one another. fine, but what’s the price and where can i get one? 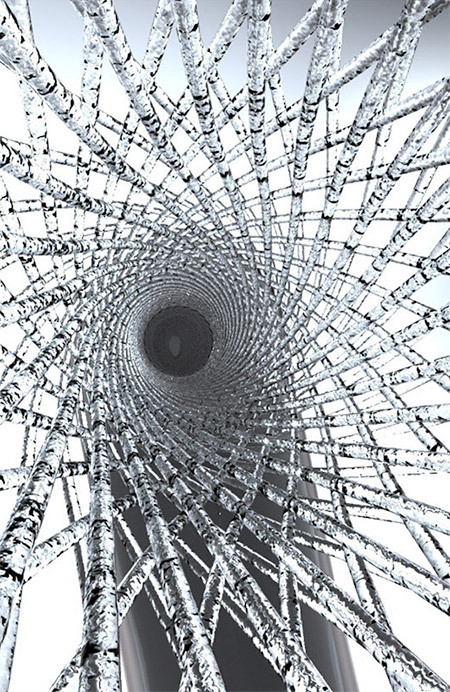 This is mesmerizing – even shown in still photos.. Really beautiful. 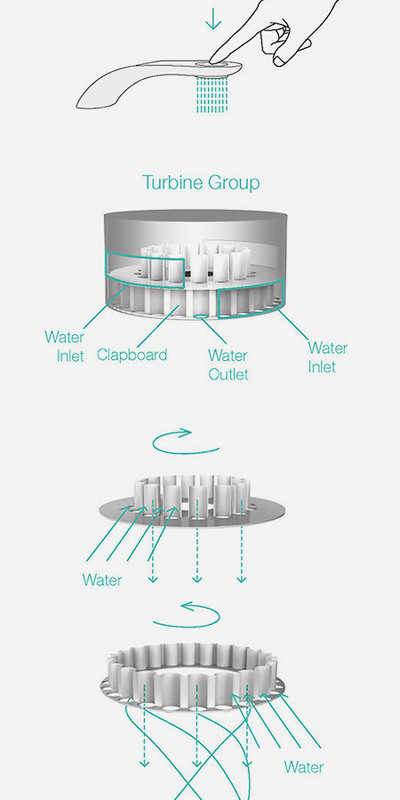 Thie key for this to work is that, just like bending spoons in The Matrix, it is not the stream of water that is spinning but the nozzle in the faucet. 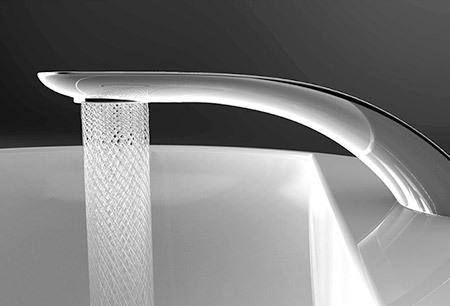 Let us look at one of the “strings” and assume the faucet lets individual droplets out, in stread of a continuous stream. Each droplet goes directly towards the ground, as gravity would dictate. However, when the next droplet is let out the nozzle has moved a tiny bit making the next droplet fall right next to the first one. If we look at the sink’s bottom this means droplets are falling in a circle pattern. Add the rest of the strings and let them be cintinuous and voila, you get a spiral. Thanks, Max! I get it now! So it IS possible! Neat! I do have one more observation, though: In order for it to appear “braided”, (as shown in the images,) rather than a simple helical pattern… there must be a 2nd “distributor” component rotating in the other direction, right? It’s a concept. If you go to his website, it tells you this idea won a concept award. How can i buy one … and any reviews ? Price would be nice. However the bigger question for me is, how do I fix it? Good evening where are these swelling water faucets and what are the prices thanks. 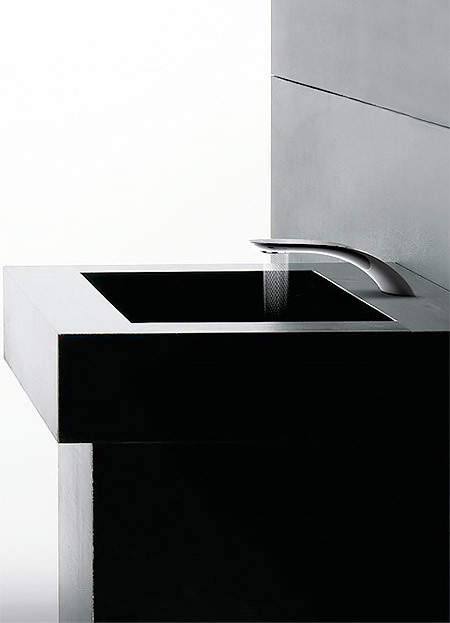 Obviously made of polycarbonate, Otherwise they would not have photoshopped the waves in the sink full of water. 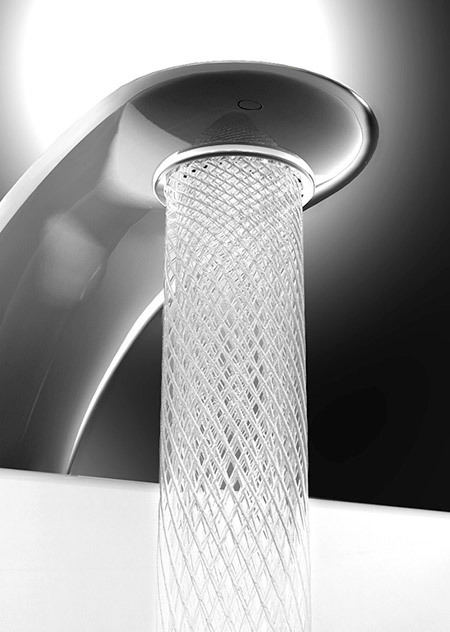 Water has SURFACE TENSION which would smooth out the pattern instantly. Just ask to see a video. Im sure they can’t show one.